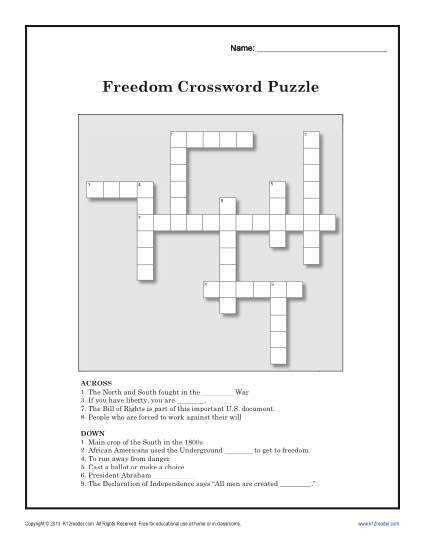 Your student will ring out freedom with this fun crossword puzzle! It focuses on Civil War vocabulary words. It’s a good activity for Black History month.